A letter from Sara Robinson to Charles S. Gleed, both of Lawrence, Kansas. Sara, the wife of Charles Robinson, writes about John Brown's role in Lawrence, Kansas, saying that his involvement has been greatly exaggerated. 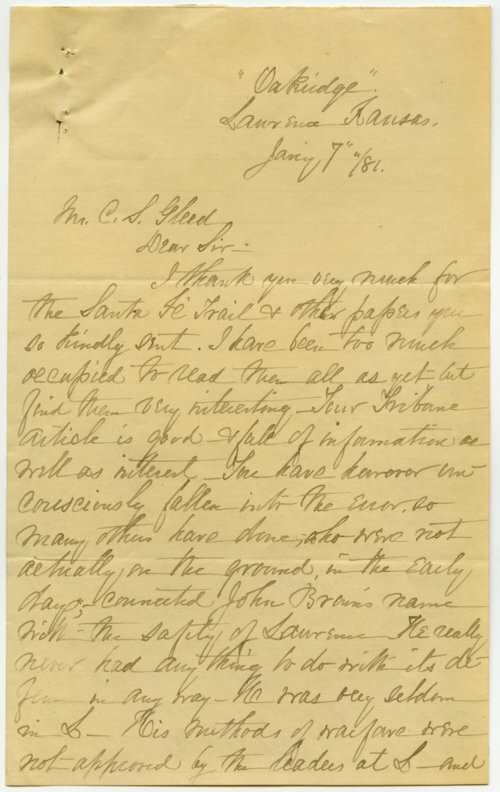 Collections - Manuscript - Gleed, Charles S.